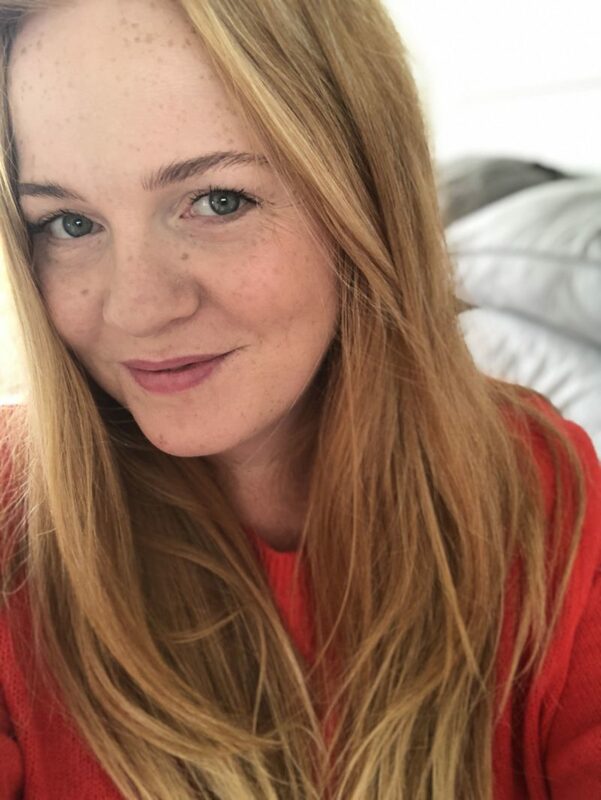 A few weeks ago (where does the time go?) we were invited to have breakfast at Sea Life London Aquarium. I know, how fancy! But wait, it gets better. Not just a random breakfast, breakfast with some of the cutest little animals (mammals?) around. The Penguins at Penguin Point! 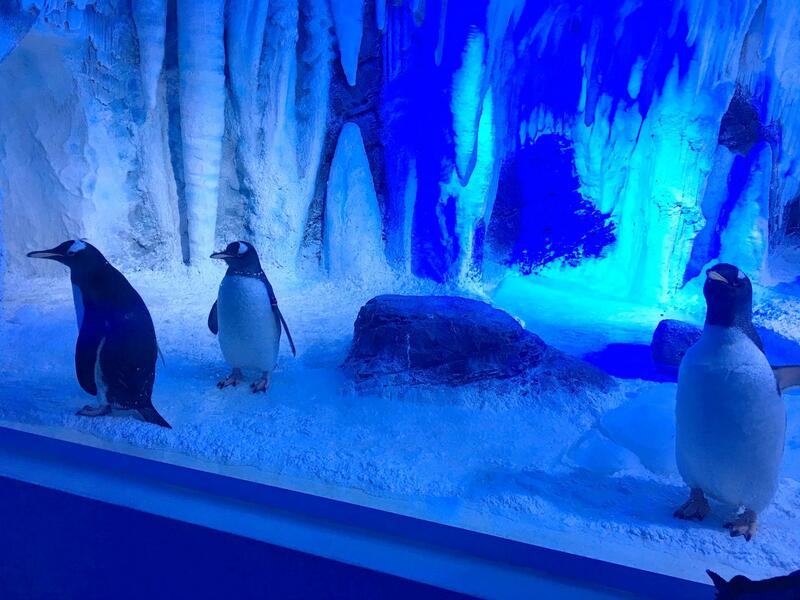 Sea Life London, which is situated right next to the London Eye is absolutely huge, and full of fish, sharks, turtles and now, it’s home to the Gentoo Penguins. We decided to drive into London for this visit, as it was nice and early and we wanted to avoid the trains on the way home, so we got there with plenty of time to spare, and grabbed a lovely hot coffee on the Southbank. My kind of Sunday morning! When we got to the Aquarium, which was still closed to the public, we were taken straight to Penguin Point where we were given (more) coffee and a delish breakfast of pastries and fruit. Surrounded by the penguins! 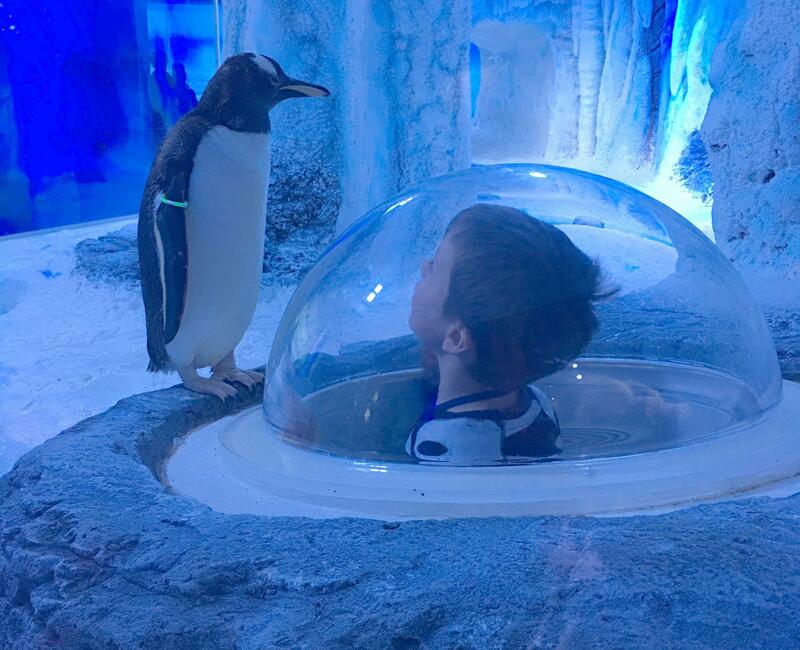 It’s such a great attraction, the area is huge and you can watch the penguins in their environment, in and out of the water, even under water which was amazing. The boy was transfixed watching them jumping in and out of the water. 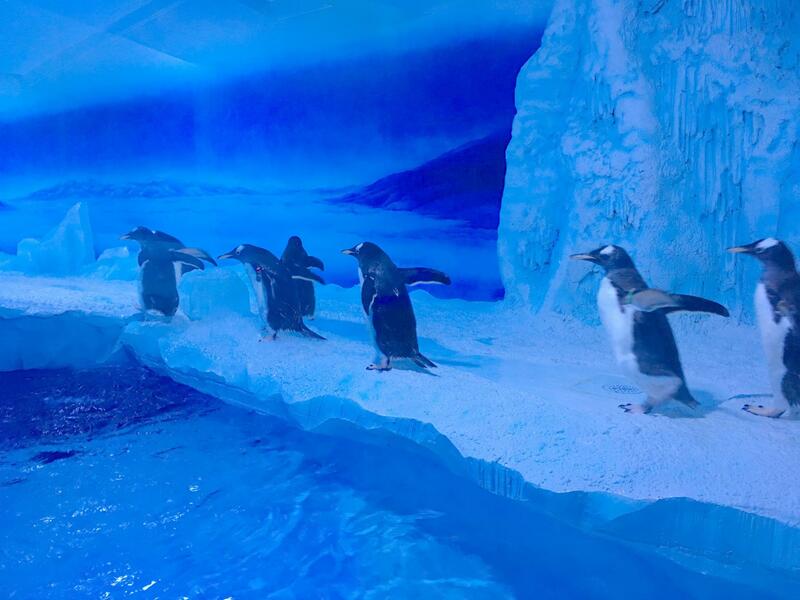 The whole set up has been designed exactly for the Gentoo penguin breed, the right temperature, the lights change according to the time of day, and although there is no physical outside, the conditions are controlled exactly. 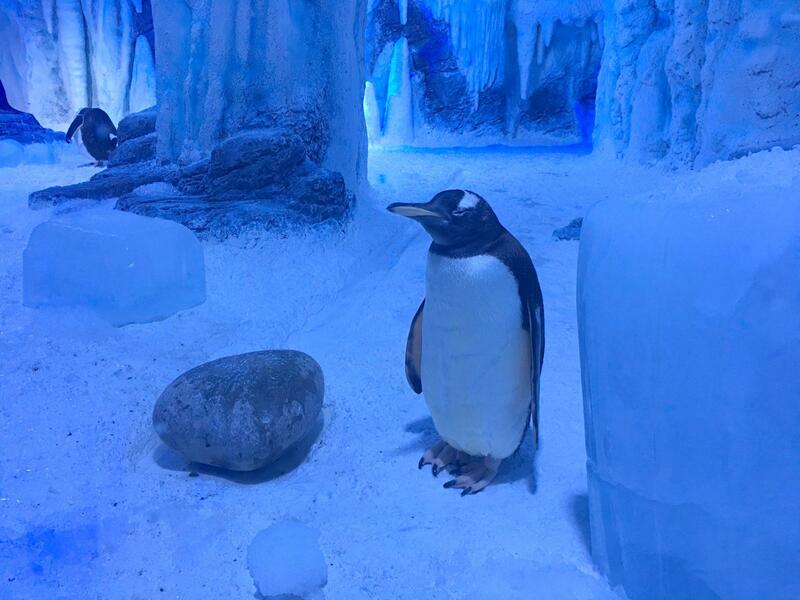 It’s completely closed in, so that nothing in thrown into their living area, as this type of penguin is known for eating things the find, and in places like zoos, a lot of people (stupidly) throw things like sticks and rubbish into the enclosure, which, of course, can really cause damage. Once breakfast had finished, we were given the chance to walk round the Aquarium again, and really look at everything. Although I hate fish, this place is still magical, walking under sharks will never be boring! I have to be honest, I have never even noticed the Sea Life in London, but now we’ve been, I’m wondering how on earth I missed it! From the outside you would never know how many amazing creatures they hold inside! Tickets to the Sea Life London Aquarium can cost from just £19.50 when you buy them online, but they have a whole load of options available. We were given complimentary tickets for this event. Massive thank you to Sea Life London Aquarium for having us! Sounded like a wonderful-fun-experience, and one I would enjoy.